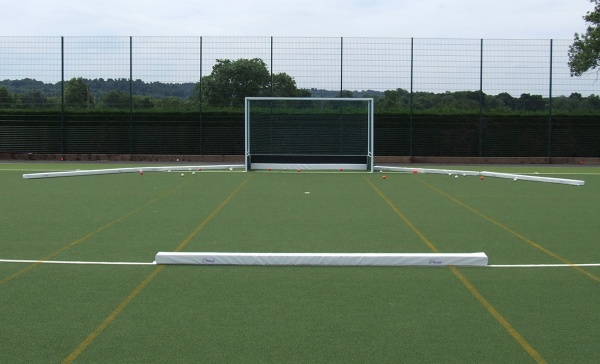 Hockey pitch divider pads are a great training companion to any hockey pitch. A set of 16 pitch dividers will divide a full pitch allowing you to set up for small sided games or enclosed training drills. The divider pads are also fantastic at keeping stray balls at bay and allowing coaches a lot of flexibility in training. 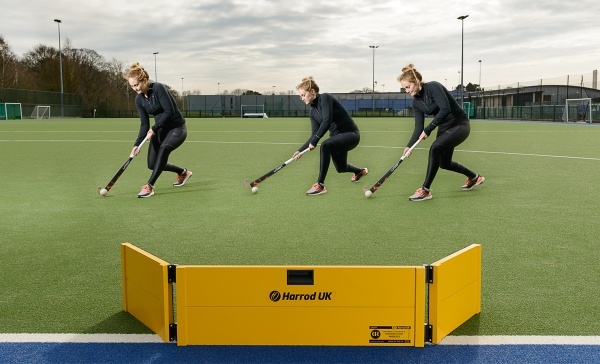 The hockey pitch divider pads can be screen printed or purchased in different colours of PVC which gives hockey clubs the ability to personalise their equipment being used on the pitch. Perfect partner for on pitch training for schools, clubs and universities. 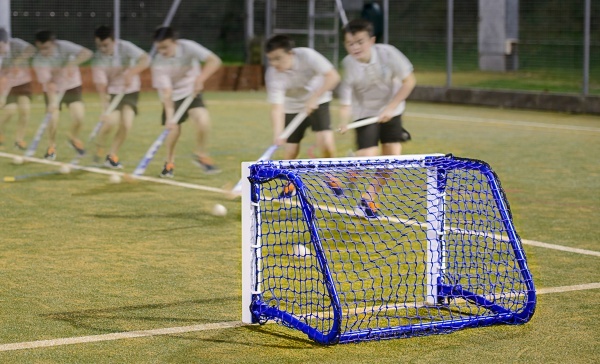 The aim of the folding hockey target board is to practise rebounding in training, it gives realistic feedback and gives the player a target to aim for other than the goal! The friction hinges allow you to make the target smaller or bigger depending on the training exercise. The target board has easy to use carry handles which allows for easy and quick removal from the pitch. Also available in other colour options: Green, yellow, Rio green, pink, orange, black and red. Small but mighty training goal to be used on the pitch as target practise for all abilities from school to club level. 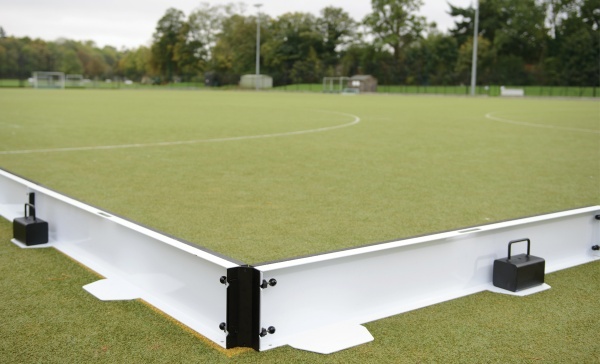 The goal is made from an aluminum hockey section which makes the goal light and versatile giving you the ability to move around the pitch when needed. Also available in other colour options: Green, yellow, Rio green, pink, orange, black and red. Fed up of messy bags on the side lines? The bag storage trolley is the perfect solution to this. The bag storage trolley can hold up to 5 bags which means 3 trolleys are required per squad. The bag compartments also have room to have an optional squad number. 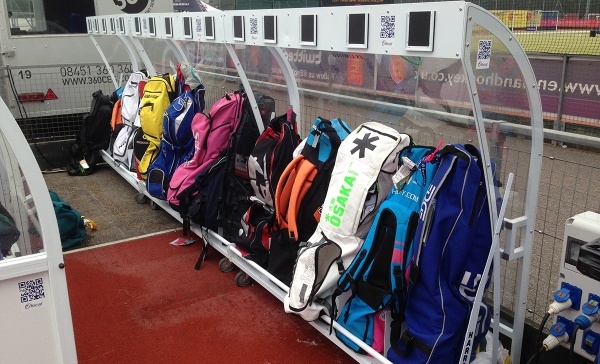 Ensuring that the team bench is always neat and tidy, the storage trolley is your answer to a pristine playing area, also avoiding the ability to trip or fall on bag straps. 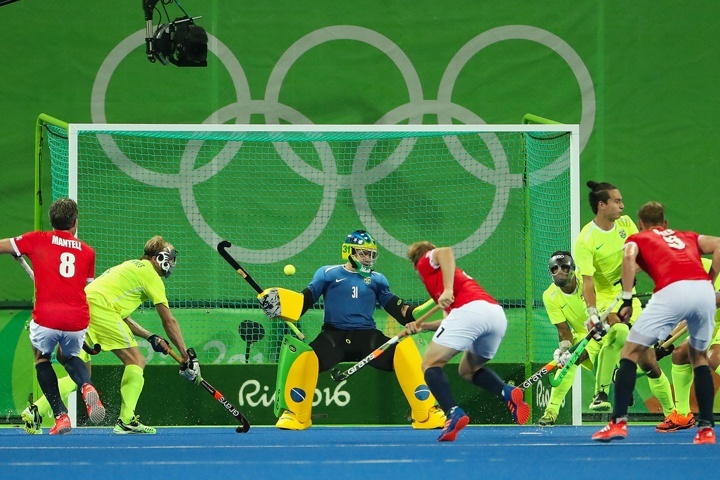 Hockey 5s is an official short form of 11-a-side Hockey. It is played by 5 players per side rather than 11 and is designed as a complementary format of the game. 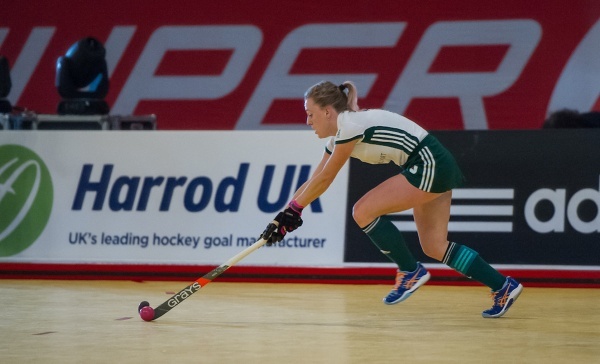 The boards have been designed and tested to meet FIH regulations. The sideboards reflect true rebound on impact so there is no change in game play and it allows for continuous play. This product is protected by registered design no. 6004417.